Home › Hard Rock › Led Zeppelin: What’s The Most Famous Song You’ve Never Heard? Led Zeppelin: What’s The Most Famous Song You’ve Never Heard? The trouble with writing about Led Zeppelin is that maybe it has all been said. Mud sharks and groupies? Read Hammer of the Gods. Alastair Crowley? Read When Giants Walked The Earth by Mick Wall. The insidious influence of their music on your children? Read Raising PG Kids in an X Rated Society by Tipper Gore. Just kidding about the last one. (As an aside, the first time I heard Stairway To Heaven was the version by Far Corporation. Another British Radio Triumph. The people behind Far Corporation went on to even greater musical heights a few years later with Milli Vanilli with a song that needless to say didn’t struggle to get airplay). Back to the gig, All About Eve were supporting. AAE are perhaps best known for their Top of the Pops appearance on prime time BBC TV when their monitors weren’t switched on and their latest single began playing without their being able to hear it. This is not, by all accounts, the easiest way to lip-synch to a record, something that the band discovered on live TV. The image of Julianne Regan staring dumbfoundedly at the camera whilst the song played is etched on the memory of millions. At the time, I wasn’t sure if it was a protest against being forced to mime, or perhaps the world’s greatest single display of ventriloquism. Plant then came on with his band and played to the capacity crowd which couldn’t have been more than 200 strong. In between solo songs from the forthcoming record (including the single, Heaven Knows) he played In The Evening, Trampled Underfoot, Custard Pie, and Misty Mountain Hop: none of which I knew. I asked my friend what the songs were, because they sounded Zeppelin-esque, (not that I really knew them: despite being seventeen and a rock fan). He rolled his eyes skywards and patiently explained about Led Zeppelin. 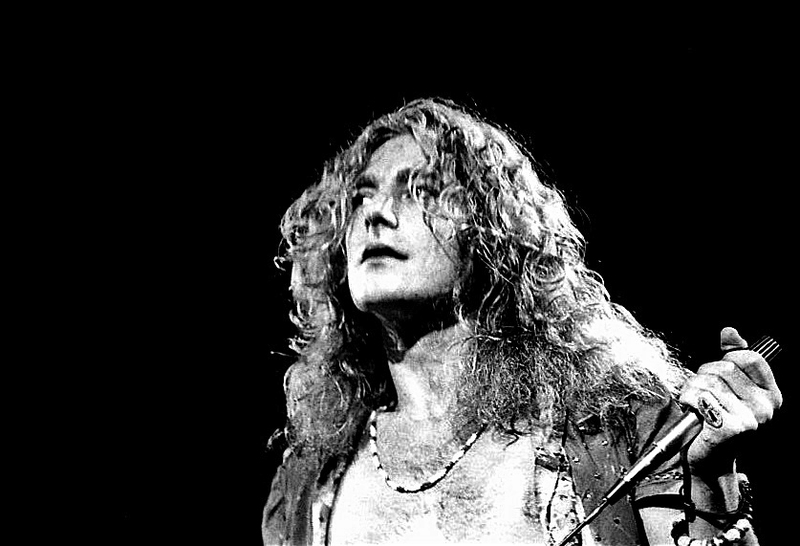 So the first time I heard Custard Pie was when Robert Plant played it in front of me and 199 other people. I guess that’s pretty cool. Not so great that I was a rock fan who hadn’t ever heard a Led Zeppelin song. This could probably never have happened in the USA. In Dave Grohl‘s biography This Is A Call by Paul Brannigan, Steve Albini is quoted as saying “Growing up in the seventies, Led Zeppelin were everywhere, so saying you were a fan of Zeppelin was like saying you were a fan of air”. Sadly that wasn’t (and isn’t) the case in their country of birth. So here’s my question. Have you ever heard a really famous or classic song and asked a friend “what’s this?” only for them to look at you like you’re an idiot: and if so what was the song? ‹ Hell’s Bells – It’s The London 2012 Olympics! Love this post. Zeppelin’s been my favorite band since I was 13 (in 1979), and that quote about liking Zeppelin being the equivalent of liking air was completely accurate for me growing up. My first Robert Plant show was a little bigger: his first solo tour in 1983, at Madison Square Garden, with Phil Collins on drums (and not a single Zeppelin song performed). The only semi-related story I have is regarding The Wonder Stuff. I missed them the first time around (late-80s & early-90s), so I only knew their name but none of their music. Then a girl I was dating in the late-90s took me to see a Miles Hunt solo show (which included one former Wonder Stuff member and included lots of WS songs) and I loved it. I bought the solo CD he was selling at the show, and within a few weeks I owned the entire WS catalog (all 4-5 albums). Not sure any of their songs would be considered “famous” or “classic” here in the US, but I subsequently learned that a lot of my friends were fans back in their “heyday,” so they were at least semi-well-known. Great engaging and entertaining writing, you’ve got the “knack” keep it up and thanks for stopping by. Thanks! A pleasure – your site is a treasure trove! As far as stories that make one look like an idiot for failing to recognize x, my favorite (maybe because I’m an American) is the one from a few years back where a young New Jersey cop threw Bob Dylan into the back of a squad car for being a suspicious-looking vagrant. I picture her detainee insisting “But I’m Bob Dylan,” and I picture her phoning the office to see if “any of you ever heard of someone named Bob Dylan?” Can you imagine the laughter erupting in that office? Good post. I remember getting into to Zeppelin in High School (during the mid-to-late 1990’s) after seeing the Icarus logo stitched onto a stoner’s denim jacket. I had to actively seek them out, I think, because they were so overplayed in the 1970s that they became something of a cliché. I remember watching that funny performance on TOTP with All About Eve, that has become a part of history. You’re right though, there is little that can be said about Led Zepplin that hasn’t already been said. They were one of the founding fathers of metal. On another note, mentioning the cops, it seems that in the late 60s, the cops really had it in for Jim Morrison. But he didn’t actually do this, right? Robert Plant: I’ve seen him a few times on stage at Cropredy, and once or twice in the audience, standing among the other punters. Wow, car crash telly, or what?! How awful, eh?